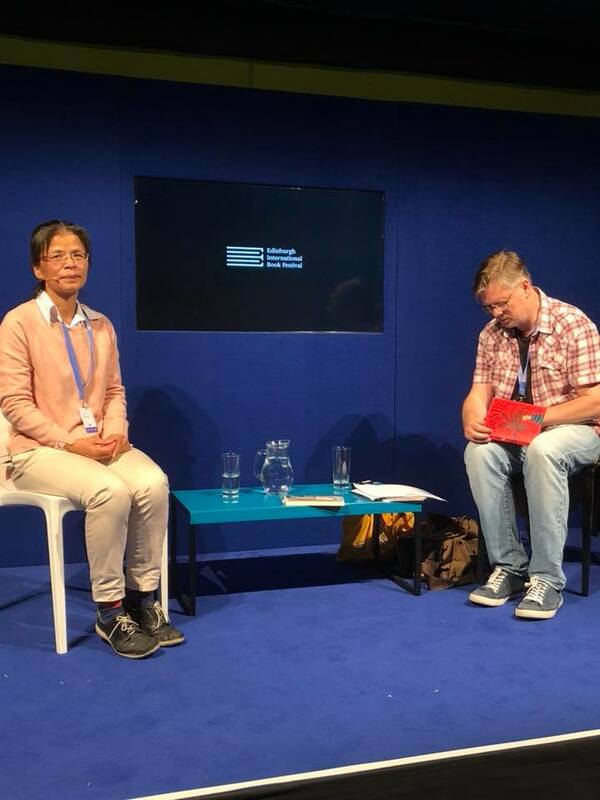 Three Taiwanese authors were invited to participate for the first time in the 25th annual Edinburgh International Book Festival, the largest and most respected literary event in the world, held between 11-27 August. Lin Man-chiu was invited as part of the Edinburgh International Book Festival’s Baillie Gifford Children’s Programme, to allow children the opportunity to meet authors from around the world. On August 19, Wu Ming-yi was joined in conversation by critically acclaimed authors Mary Lynn-Bracht and Lee Randall in front of a full house to discuss the underlying themes and context of his 2018 Man Booker International Prize long-listed novel ‘The Stolen Bicycle.’ The conversation highlighted the heart-breaking family saga played out against the backdrop of social revolutions. She was joined in conversation for her first event on August 22 with barrister and author Teresa Thornhill, where they talked about the plight of the refugee experience and the impact of the rise of right wing politics and media in Europe. Hsiao-Hung Pai was also one of 51 authors from 25 countries invited to participate in the ‘The Freedom Papers’ – an initiative which examined the importance of freedom in the world today. Hsiao-Hung Pai wrote about issues relating to the Freedom of Movement across the European Union, and how it marginalises refuges and economic migrants from outside its borders.